I met Doctor Blachar the moment I was born, he was my mothers obgyn for both me and my older brother, and now 19 years later I became his patient and wouldn't go anywhere else. He is completely trustworthy, very professional and puts a human touch in the medical field. I would highly recommend him to anyone looking for a gyno. Any woman knows how nervewracking going to a gyno can be, and he made my first visit as pleasant as it can be. I have been a patient here for 3 years. 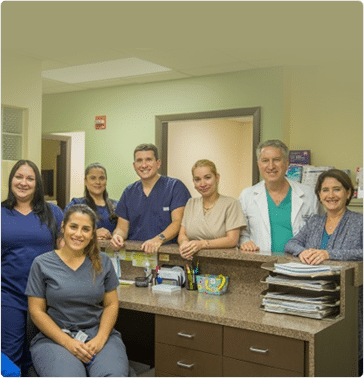 Dr. Blachar and his staff are excellent. Dr. Blachar takes his time with me, answers all my questions and makes me feel very comfortable. I have referred friends and family here that are all very satisfied. Excellent doctor. He's always attentive to all questions and needs. Excellent staff as well. An uncomfortable yearly gynecology visit is made comfortable by this doc and his staff. Recommended all my fam and friends here! Dr. Blachar is a true professional. You always feel that you are in the best of hands. He and his staff are amazing, best! I have been a patient of Dr. Blachar for MANY years and I HIGHLY recommend him. He truly cares about his patients and he has taken a LOT of time to explain exams, treatment, etc. Dr. Blachar is an EXCELLENT doctor! He is tops in my book!!!! I was currently feeling lower abdominal discomfort and pain, Dr. Brasac immediately sent me for an ultrasound and vaginal ultrasound. He listened to me and was concerned. He fully examined me. Dr. Brasac is patient and kind. Thanks Dr. Brasac, your patient V.A. Initially reluctant to see the "new" doctor in the group [Dr. Falquez], but glad I did go to my appointment to meet him. Took a long time to explain things to me, very pleasant experience. Recommended to my family. Lovely office staff. Very good experience overall. Never rushed visits, took time to answer all my questions. Felt very comfortable with Dr. Falquez throughout my pregnancy.